We own the majority of our resources, so we also make them available for renting. If you’re looking for quality equipment for your event, you came to the right place. Whether it's for congresses, conferences, corporate events or product launches, we have the following equipment available: video projectors, small and large lycra screens, LED screens, sound systems, simultaneous translation, wireless microphones and several other solutions your event may need. We have furniture solutions for conferences, corporate events and lounges. From chairs to tables, sofas, bars and puffs, we provide all the decorative items to improve every kind of space. 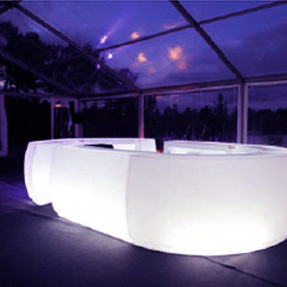 We also have wired and wireless illuminated furniture. Whether it is for 10 or 10.000 people, we have the right sound system for you. If you need a sound technician, we can provide one as well. Robotics, LEDs, lasers, truss. 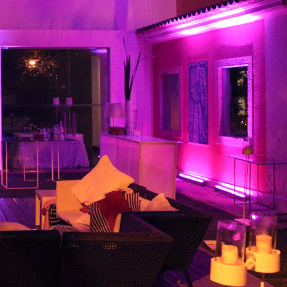 Whatever the event (corporate, in a club, a concert, a play, a dance routine), we have the right lighting solution. We can also provide special effects with CO2, fireworks, confetti and light shows with water. Solutions for stage platforms, stages, video LEDs, wood, glass and metal dance floors. 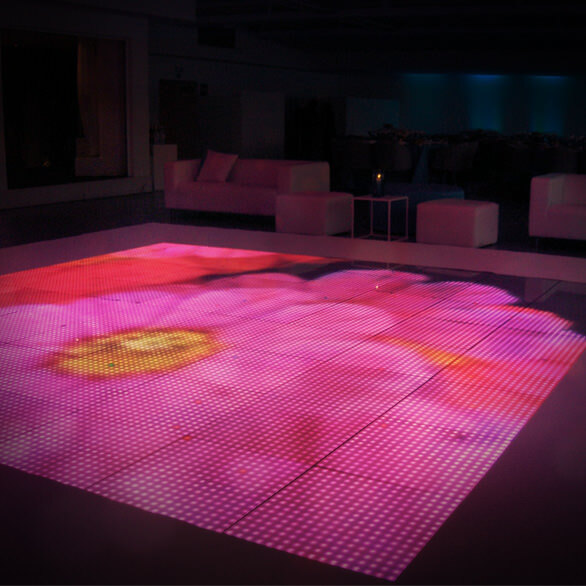 We can customise floors with LEDs and logos, among other things. We can also setup large lycra structures for 2D and 3D video projection.